JGSI Jewish Genealogical Society of Illinois - Sunday, May 21, 2017 “DNA Presentations"
Sunday, May 21, 2017 “DNA Presentations"
Bennett Greenspan, founder, president and CEO of Family Tree DNA, will give two informative presentations at the Sunday, May 21, 2017, meeting of the Jewish Genealogical Society of Illinois, starting at 1 p.m. at Temple Beth-El, 3610 Dundee Road, Northbrook, Ill.
“General DNA and Genealogy” and “The DNA of the Jewish People” are his topics at this special JGSI meeting, which is free and open to the public. For this meeting only, the JGSI library and help desk will not be available. At 1 p.m., in “General DNA and Genealogy,” Greenspan will address the use of DNA testing to enhance genealogical research and explain the types of DNA tests and their applications. He will outline the basics of genetic genealogy and answer the question of why family history researchers should test their DNA. At 2:30 p.m., in “The DNA of the Jewish People,” Greenspan will discuss the genetic profiles typically found among the Jews, including Ashkenazim, Sephardim, and Mizrahim as well as the profiles of the Europeans among whom Jews have lived for the past 2,000 years. Some say the Ashkenazim did not originate in the Fertile Crescent region of the Middle East but instead are descendants of Khazars who converted to Judaism in Eastern Europe. But what do the genetics say? In this talk, Greenspan revisits the genetic ancestry of Jews. Using male-inherited Y-DNA, he compares the signatures common among Middle Eastern populations with those of European populations, with some surprising—or perhaps not-so-surprising—results. Nebraska native Bennett Greenspan caught the genealogy bug early, completing his first family tree at around age 12. He graduated from the University of Texas, where he studied political science. His early businesses included photo-imaging/industrial photography and commercial real estate. 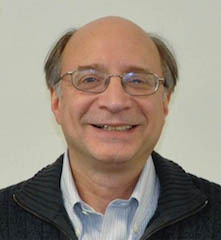 Greenspan’s attempts to prove a genealogical theory prompted him to contact Michael Hammer at the University of Arizona. Greenspan persuaded Hammer to use a Y-DNA test for genealogy. When the test proved Greenspan’s theory, he decided to start a company to take DNA testing directly to consumers, giving birth to both Family Tree DNA and a new industry. An entrepreneur and life-long genealogy enthusiast, Greenspan founded Family Tree DNA in 1999, turning a hobby into a full-time vocation. Together with Max Blankfeld, he founded in 1997 GoCollege.com, a website for college-bound students. Family Tree DNA is a pioneer in the genetic genealogy industry and the first company to offer direct-to-consumer DNA testing for genealogical purposes. As the official testing partner for National Geographic’s Genographic Project, FTDNA offers the world’s most comprehensive matching database, helping to unlock family history and connecting people with living relatives across the globe, the company says. With just a cheek swab, FTDNA’s suite of tests provides clues for users to further their genealogical research, determine ethnic and geographic origins, and discover shared ancestry across all lines. Testing through Family Tree DNA can help break through brick walls and connect more dots on your family tree. For more information about the Jewish Genealogical Society of Illinois or the JGSI schedule of future events, see http://jgsi.org/ or phone 312-666-0100.